I spoke to the Women’s Club at Harvard recently to a group of 18-22-year-old women. It was a lot of fun talking to them about what they’re struggling with and what issues they have around self-love and self-care. It brought up SO many of my own memories from college! Challenges that I was like “Yes! I remember exactly how that was! I did the same thing!” And yet many of the things that seemed so important when I was 20 have simply melted away. Do I regret any of it? No. Because it made me the person I am today. I think that as women there are certain phases in our lives that we all must go through. 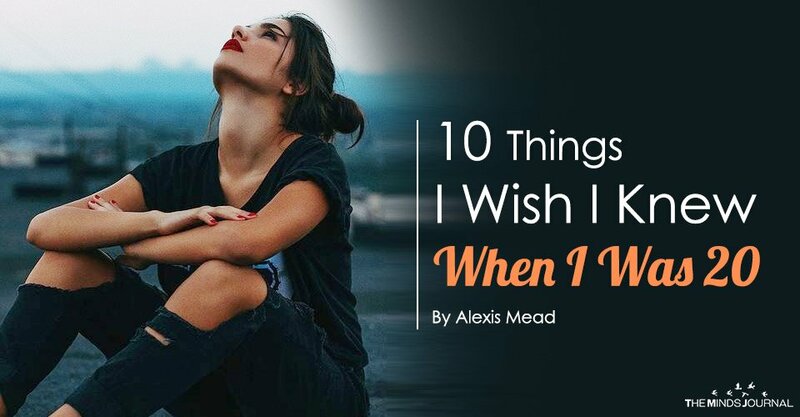 But it did get me thinking, what are some of the things I wish I knew when I was 20? There’s a lot! So I made a handy little list for you. This was a BIG one for me in college! I went to a small liberal arts school where everyone knew everyone and gossiped a lot. Girls drove fancy cars and carried Louis Vuitton bags. Greek life was big at my school and there was this looming feeling that you needed to fit in at all times. I was someone who kind of marched to the beat of my own drum, but I found myself in constant comparison to others. Which of course made me miserable! I wish I knew that life wasn’t a competition and it is better to just be yourself than to blend with the crowd. What’s your major going to be? What’re you doing after college? Where are you going to live? Ahhhh! These questions drove me nuts! Every time I’d go home for a holiday it seemed that everyone just wanted to ask you if you had it all figured out. Pretty much up until I went to college I had nothing figured out, and now there was this crazy pressure to get my ducks in a row for the rest of my life. Every choice suddenly felt like a major life-ending decision, which only added to the pressure. I would have told myself to relax. You don’t need to have it all figured out right now because you will never have it all figured out. Life is a series of trials and adjustments. That’s fun. Ohhhh college drinking. The weekend parties, Tuesday bar night, Thursday $2 pitchers night, Sunday something. It was like every night of the week had a theme around drinking. Me and my friends now cringe when we remember what a “normal” night of going out looked like. And the hangovers were terrible! But that seemed to just be the way it was if you wanted to fit in. I can remember my mom one day (I think post-college) saying “Lexi, I’m a little worried about you. I saw on Oprah that having more than 5 drinks in a night means you’re an alcoholic.” An alcoholic?? Wait, what? But everyone does it! Mom, but it’s fun!! Besides, what else am I supposed to do? Looking back I realize that this is not normal or healthy. And that there are lots of other fun things to do. No wonder I ballooned up twenty pounds sneak-eating peanut butter out of the jar at 3 am. When I was 20 there was enormous pressure to do it all. This theme actually hasn’t changed much as I’ve gotten older. It seems that as women we feel like we need to be the perfect wife/girlfriend, get straight As, be a good daughter, have an active social life, exercise daily, look hot, participate in every club or organization or job…its exhausting just writing it. It felt like to be “perfect” you had to do everything, all the time, all at once. I wish I knew that I could relax a little. That the world would not collapse because I took a break. To look at what I actually enjoyed doing and do more of that and less of the stuff I felt like I should do.